So today's post is one of those places where I happened upon it by looking for something else. I wanted to see if there were any companies out there doing cool things with pumpkin seeds, maybe someplace you could even send yours and they'd turn them into a positive impact somewhere. But when the Whole Truth shop popped up in my search results, I couldn't really pass it up! Not only do their all-natural soaps look scrumptious (as in so good I wish I could eat one...weird, I know), but some of the scents they've brought together are uber compelling: plantain-lime, lavender-rose, chocolate-coffee, even classic cooking combos like brown sugar-cardamom and tomato-basil (what??). But my favorite idea is their Dia de los Muertos bar. 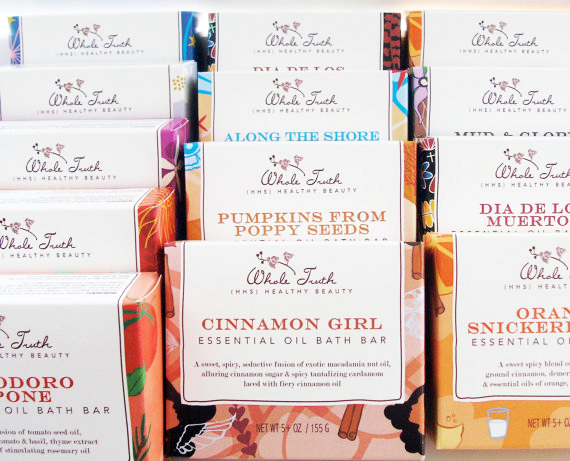 Each bar comes with "food for thought" to inspire you, and all the elements used to make their products are natural and fair trade. They even recommend which ones work best for which skin types, and tips for taking care of your bar. Hop on over to the Whole Truth shop and see what they're all about! YUM! These sound amazing! Especially the Dia De Los Muertos bath bar. 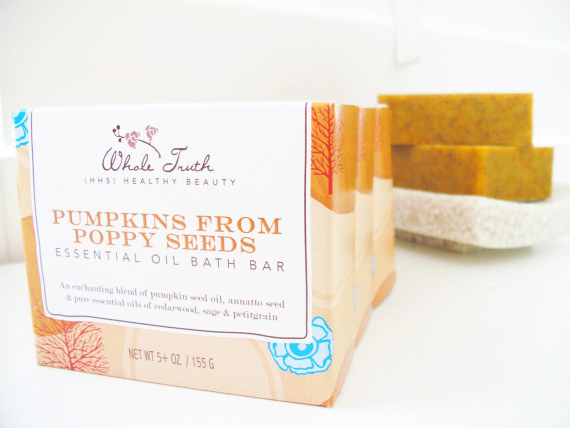 I'm a sucker for vegan bath products like these, I bet these smell nice and earthy. OOh, I'll definitely check those out. The packaging is phenomenal. So awesome! 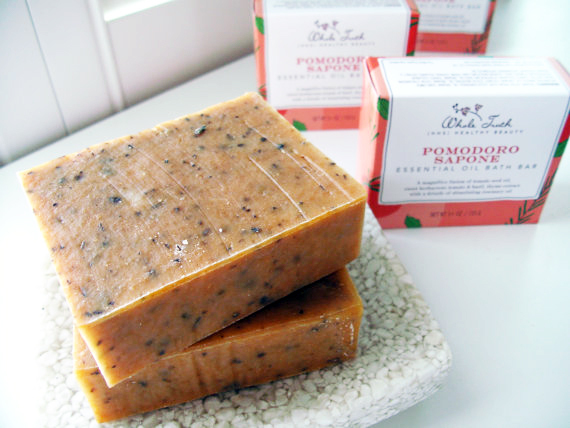 Thank you so much for featuring our Bath Bars. They are all a bit quirky like myself and I loved creating each and every one of them...they are all very near and dear to me. Thank you again, and we hope you give our products a try!